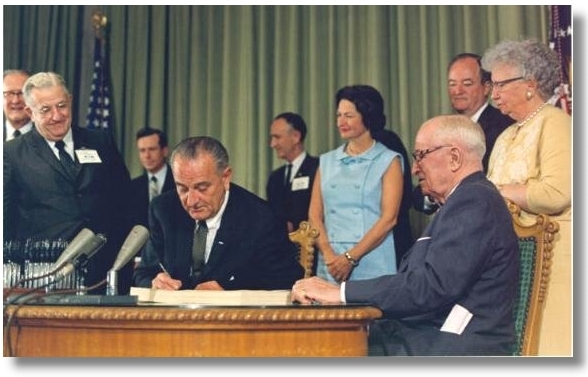 It was a happy moment, 50 years ago yesterday, when President Lyndon B. Johnson signed Medicare and Medicaid into law (photo). That he chose to do so at the Truman Library in Independence, Missouri, in the presence of former President Harry S Truman, was both a tribute to Truman's earlier leadership in the cause of providing Americans with access to health care - and also a testimony to how long it had taken and what a struggle it had been! Obviously, access to health insurance should have been available long before 1965 - and it should have been universal. Even then, however, something about American political culture made it difficult to accomplish what other advanced industrial countries accomplished with such greater ease. Everyone knows, of course, how the post-war Labour Party Government introduced universal health care in the United Kingdom. But Britain was by no means the first to cross that Rubicon. The developed world's oldest national health insurance system is found in Germany - dating back to Chancellor Otto von Bismarck's 1883 Health Insurance Bill. Undoubtedly FDR would have included health insurance in Social Security if he had thought it could pass. Truman tried in 1949. Instead, it took another generation at the climax of the period of post-war economic prosperity to pass a downsized version of national health care - Medicare for seniors and Medicaid for the poor. In the end it took the quixotic 1964 candidacy of Barry Goldwater to guarantee a Democratic landslide and with it a Congress so lopsidedly liberal enough to make LBJ's Great Society (of which Medicare and Medicaid were critical components) a long-awaited reality. It is alleged that LBJ envisioned a gradual decrease in the Medicare age, eventually evolving into universal access to health care regardless of age. Something like that could have happened in 1973, when President Nixon was willing to consider extending Medicare for all. But that didn't happen either. The first was a casualty of Vietnam; the second of Watergate. So it wasn't until President Obama that this country finally got something close to what we should have had all those decades ago, although in a much more complicated - and compromised - form than if we had just extended Medicare to all. Medicare remains one of the crown jewels of American social policy. Medicaid, because it serves the poor (who don't vote that much) rather than senior citizens (who vote a lot) has always been the demeaned stepchild of American health-care policy. Even now, after Obamacare made a widespread extension of Medicaid easy for states to implement, many states have refused to participate. What is one to make of such a dysfunctional political ideology, one of the primary pillars of which is denying people access to adequate healthcare? Americans work an awful lot (at least those of us lucky enough to be employed). Just the other day, I saw something on the BBC comparing how much less vacation time American workers are entitled to, compared with their European counterparts - and how, even then, many Americans don't even take the full vacation time they are allotted. And, of course, we have modern technology - especially the ubiquitous cell phone - to keep people working even when ostensibly vacationing. We are increasingly a nation of actual and would-be workaholics. An interesting thing to think about on this feast of Saint Martha! In John’s Gospel, Saint Martha engaged Jesus in one of the Gospel’s most famous dialogues, first reprimanding him for showing up late for her brother's funeral, then eliciting from him the powerful proclamation, I am the resurrection and the life. In response, Martha made her great profession of faith: Yes, Lord. I have come to believe that you are the Christ, the Son of God, the one who is coming into the world. For centuries the standard Gospel reading at most Catholic funerals, that account (John 11:19-27) has solidified Martha's status not only as one of Jesus' intimate friends, but as a disciple and an evangelizer. 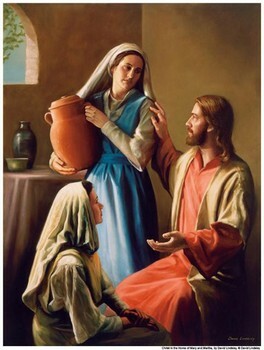 Yet, for most people perhaps, the Martha story which has had the deepest impact upon her reputation is the account of one of Jesus' other visits to her home, at which she provided hospitality for him and his disciples, but also remonstrated with him about her sister Mary's not helping her out with the household chores (Luke 10:38-42). If anything, the very obvious ordinariness of the situation and the ease with which we can all identify with one sister or other in Luke's story has guaranteed its perennial popularity. Ours is a society in which we define ourselves for the most part by our work. Of course, as our current debates over increasing income inequality illustrate, our society honors and rewards wealth much more than it rewards work, and there is obviously no connection between working hard and being rich. But, after wealth, we do seem to place the greatest value on our work. For the vast majority of us, it is work which provides whatever degree of respect our society allows to the non-wealthy. And, inasmuch as work has always been necessary for most people, I think Martha's complaint about her sister must have resonated with most people as just commonsense. Of course, even if there is more to life than work, still the work has to get done! Thus I'm sure that Jesus and his disciples wanted their dinner! So I think they valued Martha's efforts to be hospitable. (Certainly, the Church has seen Saint Martha a model of service, a sentiment evident in today's Collect. And it is no accident that the Vatican hotel - where the Pope presently lives - is named for her, Domus Santae Marthae - or that she is the patron saint of housewives, cooks, and waitresses.) I think that Jesus was not criticizing Martha so much as offering her some helpful advice about her priorities: Martha, you are anxious and worried about many things. Again, Jesus' point to Martha - and through Martha to us - wasn't exactly that there is nothing to be anxious and worried about, but that the solution to our anxieties and worries is not in intensified focus on ourselves (what we do when we get anxious and worried, but rather a redirected focus on him - just as later on, at Lazarus' tomb, Jesus would refocus Martha's attention away from her frustrations about the schedule and onto him as the resurrection and the life. Homily for the Memorial of Saint Martha, Immaculate Conception Church, Knoxville, TN, July 29, 2015. I desire then that in every place the men should pray, lifting up holy hands without anger or argument (1 Timothy 2:8 NRSV). Someone recently asked me about the propriety of people in the congregation extending their hands at the Our Father, in a gesture similar to that which is prescribed for the priest at certain parts of the Mass (e.g., the three orations, the Eucharistic Prayer, the Our Father and the prayers that immediately follow it). Apparently there has been some occasional chatter on various internet sites and blogs about this topic, traditionally known as the orans position, regarding whether or not it is appropriate for laypeople to extend their hands in this manner at Mass, specifically at the Our Father. Now I am not at all an expert on the history and liturgical use of the orans position. And I am sure there are others who are experts. I have, however, always assumed (reasonably, I believe) that the rubrics directing the celebrant to extend his hands in this fashion at certain parts of the Mass represent a formalized, somewhat stylized version of an ancient, widely used (and originally probably more expansive) prayer gesture (cf. Psalms 28:2, 63:4; 134:2; and 141:2). Both the Old Testament and the New (cf. 1 Timothy 2:8, above) imply that this gesture was widely used in popular prayer. At Mass, the celebrant is directed to extend his hands in the ritualized version of the orans position at the various prayers mentioned above, as well as when he greets the people with The Lord be with you (except at the Gospel, when he is explicitly directed to keep his hands joined). If there are concelebrants, only the principal celebrant does so - except at the anamnesis after the Consecration which all the concelebrants recite together, at the Intercessions in the Eucharistic Prayer when the concelebrant who is speaking does so alone, and at the Lord's Prayer when all the concelebrants are again invited to extend their hands while reciting the prayer (but only for the Lord's Prayer, not for what follows). The posture is, however, nowhere prescribed for the deacon. As far as I am aware, while congregational postures (standing, kneeling, sitting) are specifically prescribed, no directions are given at all about the people's hands. There are inherited cultural traditions, of course, that recommend what to do with one's hands (e.g., holding them together or folded), but that is about it. If I recall correctly, back in the 1990s, the US Bishops discussed a recommendation that the people extend their hands at the Our Father. This was presumably an attempt to counter the unfortunate custom that had arisen in many places since the 1960s of people holding hands during the Our Father, a custom which inevitably horizontalizes the focus of the prayer. It was, I think, thus a commendable attempt to replace a modern, untraditional, and unliturgical practice of hand-holding with something ancient, traditional, and liturgical. In fact, however, the proposal was attached to the problematic ICEL translation of the 2nd edition of the Missal. Since that translation was rejected by Rome and never implemented, neither was the orans recommendation ever formally implemented. But it does seem to have caught on - at least in some places. And, since there are no specific rules prescribing what people should do with their hands, there would seem to be no specific prohibition either. If nothing else, certainly it is more appropriate and more meaningful - certainly more ancient, traditional, and liturgical - than holding hands! But, remembering what Paul wrote to Timothy, whatever is done let it be without anger or argument! When I visited Tabgha over 20 years ago, it was summer. So it was hot and dry. But today’s Gospel story [John 6:1-15] puts the event in the spring, at Passover time, when green grass grows abundantly in the area. And so the evangelist John portrays the people sitting picnic-style in groups on the grass, just as those fed by Elisha in today’s 1st reading [2 Kings 4:42-44] had probably also done. When I was a boy in the Bronx in the 1950s and early 1960s, our family – that is, the entire extended family full of aunts, uncles, and cousins – used to go on picnics practically every Sunday in summer. And, before my father bought his first car, that meant a long trek by bus and subway from home to the picnic ground. That was actually quite the production, because it involved transporting enormous quantities of food. In those days, Sunday dinner was a fixed part of any reputable Italian-American family’s Sunday. So going on a picnic on a Sunday meant lugging large pots full of pasta and sausage and all sorts of other wonderful food. Looking back on it now, carrying all that with us on the bus and the train seems like an awful lot of work, which I am sure it was, but at the time we thought nothing of it. That’s just the way it was if you were going to have a picnic. The point is, of course, that to have a picnic the food has to come from somewhere! And usually that means bringing it ourselves. So it must have been in today’s Gospel story. Some, probably, had planned ahead and brought their food along as they followed Jesus and maybe even still had some left; but the rest had either not brought any food or (more likely) had used it all up already and were getting hungry again. In any case, Jesus recognized he needed to do something. Just down the path from the site of this miracle, on the same shore, is another shrine, which marks where, later on, the Risen Lord cooked breakfast for seven disciples and then commanded Peter to feed his sheep. In this instance, Jesus was giving them a foretaste of that future responsibility. Luckily for them, of course, Jesus was there to help, and to demonstrate just what it means to be his Church in a hungry world. Jesus took the loaves, gave thanks, and distributed them to those who were reclining. Note that Jesus didn’t just magically make food out of nothing. He worked with what they had already, with the limited resources the people already had, with whatever remained of the food supplies some people had brought with them, and he made them into something more – something God’s People have had to learn how to do ever since. Our weekly celebration of the Eucharist reenacts - in a ritualized way - that most famous of all picnic lunches. At this meal, we here are nourished and commanded in turn to feed and to nourish one another – both physically and spiritually, - and not just one another in the narrow sense, but the whole world, because, in God’s kingdom, there can be no providing just for oneself, no eating while others go hungry, no security at someone else’s expense. Good news kept to oneself or shared with just some select few is not the good news of Jesus. As Pope Francis has recently reminded us: “It is in the Eucharist that all that has been created finds its greatest exaltation... The Lord, in the culmination of the mystery of the Incarnation, chose to reach our intimate depths through a fragment of matter. He comes not from above, but from within, he comes that we might find him in this world of ours. In the Eucharist, fullness is already achieved; it is the living centre of the universe, the overflowing core of love and of inexhaustible life. Joined to the incarnate Son, present in the Eucharist, the whole cosmos gives thanks to God. Indeed the Eucharist is itself an act of cosmic love… Thus, the Eucharist is also a source of light and motivation for our concerns for the environment, directing us to be stewards of all creation… And so the day of rest, centered on the Eucharist, sheds it light on the whole week, and motivates us to greater concern for nature and the poor” [Laudato Si’, 236-237]. Back in the Gospel story, it appears that the people remembered the story of Elisha and so figured that Jesus is truly the Prophet, the one who is to come into the world. But unfortunately it seems that they got only part of the message, interpreting it in a narrow, self-absorbed way, thus turning good news into bad news – as has happened too often in human history. Our world is hungry for the good news that God is sharing with us in his Son and which we are meant to share with the world. And, as he did with his disciples, Jesus is here to show us how – how to be the Church he is challenging us to be. Homily for the 17th Sunday in Ordinary Time, Immaculate Conception Church, Knoxville, TN, July 26, 2015. My mild expression of regret yesterday about the Creed no longer being required at Mass on the feast of Saint Mary Magdalene inspired some off-lien reaction and reflection about the place of the Creed in the liturgy. I confess that I don't have a well thought-out or intensely felt opinion about exactly how often the Creed should be required, except that I generally believe it would be better to require it more than we do at present. In the current liturgical regime, the Nicene Creed is confined, for all practical purposes, to Sundays and Solemnities. Not even Apostles, doctors of the church, or the days within the Octaves of Christmas and Easter are deemed worthy of having the Creed anymore. As for the Apostles' Creed and the so-called Athanasian Creed, both formerly so prominent in the Divine Office, both have completely disappeared. While the Athansian Creed may not be a great loss, the dropping of the Apostles' Creed from the Office seems something of a shame to me. During my 2005 summer study at Windsor Castle, where we prayed Morning prayer and Evensong from the BCP daily in common, I got to appreciate turning towards the altar for the twice-daily recitation of the Apostles' Creed, one of the many remnants of the medieval liturgy carelessly excised from contemporary Catholic worship but carefully preserved in the Anglican variant. I have never really understood the reasoning (if there was any) behind some 20th-century liturgists' hostility to the Creed's place in the Mass. As a seminarian in the 1980s, I remember hearing that the Creed really didn't belong there - a position asserted but never convincingly argued. In the 1980s, of course, whim widely reigned supreme. If some celebrant's whim was not to say the Creed, it was likely to be omitted. But even earlier, when whims were not yet being indulged, there already seems to have been some developing animus against the Creed's prominent place in the Mass. Thus, the great 20th-century, Jesuit liturgical scholar Josef Jungmann wrote that, although "but a supplement on these days," the Creed still it gets such a performance at solemn service that both in duration and in musical splendor it often surpasses all the other portions of the Mass.... All the more reason to ask, why this formula of profession of faith secured the singular honor of being used at the celebration of Mass." At a time when the Solemn mass was still recognized as the liturgical norm (however rarely it was actually experienced by ordinary churchgoers in the places like the United States), Jungmann argued for "the plain recitation of the creed by the whole congregation" in preference to "residua of a musical culture that is past." This past year, we resumed the singing of the Creed on Sundays in my parish. we use the plain chant setting in English - the same chant version I can still sing from memory in Latin from having heard it so often growing up. Reactions were mixed. Anything that threatens to lengthen, however minimally, our already overly brief liturgy will inevitably induce some anxiety. It was the same when churches routinely started singing the Gloria a couple of decades ago. In my opinion, not only is the chanting of the Creed more in accord with the sung Mass tradition, it also adds a certain gravity to a prayer that otherwise tends to be somewhat unceremoniously rushed, each person praying it at his own pace. In his historical treatment of the Creed, Jungmann recounted the familiar story of Emperor Saint Henry II's surprise that the Creed was not included in the Mass in Rome. Rome duly conformed to the Emperor's expectation. But it was also explained to Henry that, since the Roman Church had been free from heresies, it had that much less need to profess the Creed so often! By that same logic, it might seem that, in our contemporary, post-Christian society, the Creed should be proclaimed as much and as often as possible - perhaps even every time we assemble in anticipation of an alternative kingdom to what contemporary society offers. The strange misidentification of Mary Magdalene with the sinful woman who washed jesus' feet with her tears and wiped them with her hair (cf. Luke 7:36-50) has had a long history. It seems to owe much of its staying power to a famous 6th-century homily of Pope Saint Gregory the Great, who then compounded the error by also misidentifying Mary Magdalene with Mary of Bethany, the sister of Lazarus and Saint Martha. (This was in spite of the obvious fact that Bethany and Magdala are geographically different places!) One result of this unfortunate misidentification was the idea - which I can definitely recall learning as a child (when, incidentally, the liturgical calendar officially entitled her as "Mary Magdalene, Penitent") - that the seven devils driven out of her by Jesus were actually the seven capital sins! Historically, not everyone agreed with this, of course. The Eastern Churches always emphasized instead her primary status as a disciple. In the West, Saint Ambrose seems to have considered her a virgin, and the Benedictines in their calendar kept Mary Magdalene and Mary of Bethany on different days. But certainly still the standard western (and secular) view when I was growing up remained that of Gregory. Thus, in the old Missal, the Gospel for her feast was the story of the sinful woman in Luke. while the identification with Mary of Bethany was reflected in the collect, which referred to Jesus having raised her brother Lazarus back to life. The fact that Saint Martha was (and still is) celebrated alone exactly one week later certainly seems consistent with the once standard belief that Martha's sister had already been honored when celebrating Mary Magdalene one week earlier. 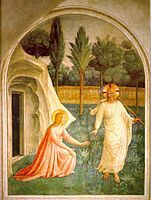 In the 1950s, in the deliberations of Pius XII's Pontifical Commission for the Reform of the sacred Liturgy, serious attention was given to correcting (at least in the liturgy) Mary Magdalene's historical misidentification. Thus, at the Commission's 39th meeting on April 27, 1954, it was generally conceded that Mary Mary Magdalene and Mary of Bethany were not identical with each other and that neither was identical with the sinful woman in Luke's Gospel. It was proposed to turn the July 29 feast of Saint Martha into a feast of Mary, Martha, and Lazarus and to create a completely new feast of Mary Magdalene on May 8 focusing on her presence at the foot of the Cross and the Risen Christ's appearance to her on Easter. 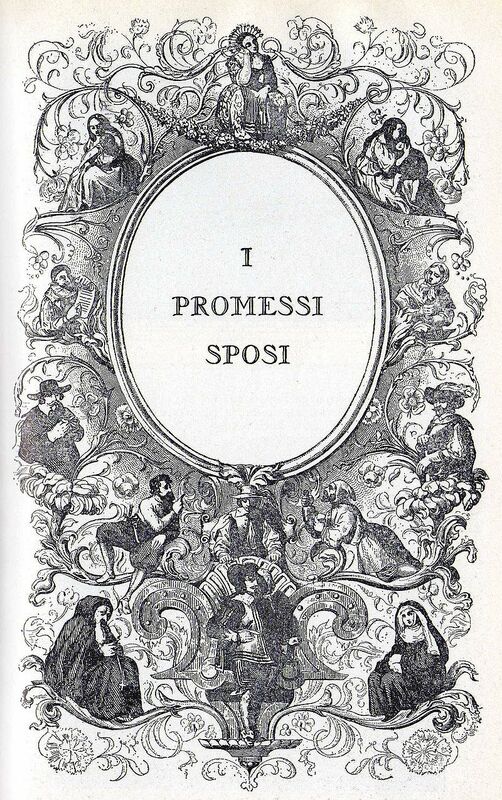 Nothing came of that proposal, however. It was only with the introduction of the 1969 Missal that, without altering any feast days, the historical identity of May Magdalene was at last clarified and her significance for the Church properly highlighted. So now the Gospel for her feast is John 20:1-2, 11-18, the account of the Risen Christ's first appearance to her on Easter morning and her mission to tell the Apostles the news. And the new collect prays, O God, whose Only Begotten Son entrusted Mary Magdalene before all others with announcing the great joy of the Resurrection, grant, we pray, that through her intercession and example we may proclaim the living Christ and come to see him reigning in your glory. Everything about the story of Mary Magdalene that is actually certain - her healing by Jesus, her response by becoming a disciple, her generous financial support for Jesus' mission, her fidelity at the foot of the Cross when most of the others had abandoned Jesus, her Easter encounter with Christ, and her commission to evangelize - highlight her true importance in the early Christian community and her continued significance for the life of the Church in every age. In my lifetime, New York City has experienced three such major electrical blackouts - in November 1965, July 1977, and August 2003. In our electricity-dependent technological society, any interruption of service, let alone a major night-long blackout, is a serious disruption, life-threatening for some, a major inconvenience for many. That said, the 1965 Blackout was widely looked back upon after the fact as a somewhat positive communal experience in which the city pulled together and citizens helped one another. In contrast, the 1977 Blackout is widely remembered mainly for the looting and criminal behavior it inspired. If the first Blackout was somewhat symbolic of New York's still strong and vibrant post-war communal culture, the second served as an apt symbol for the city's apparently complete collapse in the 1970s. Full disclosure: I myself missed the Blackout. In July 1977, I had just recently finished my Ph.D. at Princeton University and was still living in Princeton, preparing for my imminent move to Milwaukee to start my first full-time teaching job at Marquette University that fall. I was excited and hopeful about the future, but I was more focused primarily at that moment on the complex emotional experience of leaving a graduate student community I had happily been a part of for 5 years, leaving behind (in that pre-Facebook world) a group of friends I very much much valued - for what would inevitably be a much lonelier life in the future. But, while I did not experience the 1977 Blackout directly, I did get to see some of its catastrophic consequences. Shortly after, in preparation for my move to Milwaukee I went to stay briefly with my parents, who had three years earlier moved out of the city to Mount Vernon, just north of the Bronx. At some point during that brief interlude, we took a drive through the Bronx to visit the "old neighborhood" and saw first-hand the destruction visited upon the once beautiful Bronx by the events of that tragic Blackout night. For years after, whenever the decline of the Bronx came up in conversation, I would always cite the aftermath of the Blackout as the decisive turning point, when people (particularly small businesses), that had been struggling to hold on through the city's 1970s collapse, finally just gave up and left. The American Experience program on the Blackout highlighted two contrasts - between the way the city as a whole experienced the 1965 blackout and how it experienced 1977, and between how different neighborhoods experienced the same event in 1977. In fact, not every neighborhood was destroyed during that infamous night. For the more well off citizens in safer sections, the event was much less traumatic and resembled much more the experience of 1965. Both contrasts are important, but the second contrast highlights how the city had changed in a way which best explains the first contrast. The American Experience show did a very good job in illustrating and explaining the radical and rather rapid decline of the city in the early-mid 1970s - the change from the functioning urban economic community of the 1960s (with its strong manufacturing base) and the city's strong social network (with effective and well funded public services, not least of them a free city university, of which I myself had been a beneficiary). By way of background to what happened the night of the Blackout, the American Experience show traces the imposition of austerity policies in the mid-60s and the consequent evisceration of the public services that fundamentally make urban life. The result was a spreading sense of social breakdown, which the looting and criminality of the 1977 Blackout expressed rather than caused. In just a few more years, with the disastrous presidential election of 1980, the entire country would take a dramatic turn to heightened class divisions, rejecting as obsolete the social solidarity that had been the underpinning of post-war prosperity and the post-war political consensus. The 1977 Blackout became thus a prophetic image of the America the 1980 election and subsequent political divisions would institutionalize. It's easy to dismiss Donald Trump as some kind of celebrity clown candidate. Last Friday, Huffington Post even demoted coverage of his "campaign" to its entertainment section. And, of course, there can be said to be a clownish component to his "campaign." It is easy to dismiss it all as American celebrity culture run riot - someone monopolizing media attention not because he is in any sense a serious candidate (let alone a serious statesman), but simply because he is rich and famous in a society that worships wealth and fame. All that may be true enough. But there is more to this sad story than just the clown factor. For one thing, while wealth and fame account for his ability to play the role he has chosen to ply, the fact remains that he is playing it on a clown-filled stage. His presence and popularity in his party is a testament to so much of what is so wrong in his party's politics. His bizarre attack on Senator John McCain seems to have galvanized opposition and emboldened his opponents to attack back (many of whom had hitherto been too afraid to take him on directly for his other outlandish attacks). It says something about his party's politics that this is what it took - not the earlier attacks on immigrants or even the earlier indulging of the "Birther" movement, either of which should have been sufficient to disqualify a candidate from serious consideration by serious people. If now his party and its upcoming debates are to be tainted by their association with this candidacy, is it not a clear case of reaping what that same party has sown in recent years? On one of the Sunday morning talk shows, somebody noted that Trump got more negative comments at the event in question for the seemingly frivolous way he spoke about going to Communion and about his marriages. If that is so, it certainly deserves a lot more attention. On the one hand, it highlights the candidate's complex history (which, for now, New Yorkers may be much more familiar with than the rest of the country) and how that logically might be expected to impact an ostensibly conservative religious constituency. On the other hand, it highlights how unproblematic the hateful attack on McCain may actually seem for some elements in that strange constituency. All of which highlights how destructive that party's approach to politics over the past several decades has ultimately been for political sanity, a civil society, and any long-term prospects for statesmanlike governance. He instructed them to take nothing for the journey … no food, no sack, no money in their belts. Whenever I travel anywhere – whether for work or, as this week, for vacation – I worry whether I‘ve packed enough or too much. I always worry about leaving something behind that I’m going to need. And often that exactly what happens! But, in the meantime, my worrying has caused me to carry a whole lot of extra stuff as well! And, of course, as anyone who has ever travelled anywhere knows all too well, the amount of baggage we bring actually tends to increase along the way. Not only do I usually start with too much; I frequently finish with even more! Of course, this is the kind of problem that can only arise in a world, in a society, where people have a lot of possessions to begin with - an awful lot of stuff, too much, maybe. On the other hand, in this particular passage, which we just heard [Mark 6:7-13], Jesus wasn’t really talking about our ordinary relationship with possessions. This was not some ordinary trip, let alone a vacation, that the apostles were going on. What it was actually was a kind of practice-run for the apostles’ future job as full-time missionaries. And, unlike my vacation this week, the mission of the Church, which was what the apostles were being prepped for, is never finished (at least not in this life). Hence the command to travel light, lest the constantly accumulating baggage weigh down the kingdom of God and get in the kingdom’s way as it moves out into our world. Of course, even Jesus let his apostles have some things. He allowed them a walking stick and sandals. I suppose those were considered essentials at that time. On the other hand, the command to take nothing else seems to stress the special nature of the journey – its urgency and importance, allowing no time for distractions and requiring complete commitment, as well as a whole lot of trust in who was sending them. Jesus seemed to be leading the 12 into what I like to call a kind of guided insecurity, sending them out as missionaries, without most of the props they would have been familiar with and normally might have depended on. Well that was about them then. What about us now? After all, we are all part of this new kingdom of God that the apostles were appointed to proclaim. Of course, we are not all – or even most of us – called to be missionaries like them. But we are being challenged to adopt the kingdom of God as our standard for how to live. And so what does that say about our relationship with things? For all of us, then, this Gospel is a kind of proverbial “shot across the bow” about our relationship with things. I’m sure you’ve all heard of Pope Francis’ much anticipated encyclical Laudato Si’ On the Care of Our Common Home. As is often the case with such papal pronouncements, it’s somewhat long and requires some patience to read and assimilate its message. But it is well worth the effort. The encyclical addresses important scientific, economic, political, and cultural concerns, but the heart of its message is spiritual – a call to each and every one of us to true religious conversion, a conversion that challenges us to rethink the way we relate to things in this consumer culture that we are all a part of. “The emptier a person’s heart is,” Pope Francis warns, “the more he or she needs things to buy, own and consume” . But, he continues, "We are always capable of going out of ourselves towards the other. Unless we do this,” he warns, “other creatures will not be recognized for their true worth; we are unconcerned about caring for things for the sake of others; we fail to set limits on ourselves in order to avoid the suffering of others or the deterioration of our surroundings. Disinterested concern for others, and the rejection of every form of self-centeredness and self-absorption, are essential if we truly wish to care for our brothers and sisters and for the natural environment" . Obviously, no one – not even an apostle - ever wants to start out on a trip with insufficient supplies. The point, of course, is not the things themselves. If we just focus on which things we need to shed, then the things are still driving the discussion as surely as if we were carrying them all around with us. The primary point, rather, is to unburden ourselves, both inside and out, so as to free ourselves to become the people God is calling us to be – not the person all the commercials and ads want to be, but the person God is calling me to be. Homily for the 15th Sunday in Ordinary Time, Saint Anne's Church, Walnut Creek, CA, July 12, 2015. Connecting with "a new and different world"
"Practices and expectations that belong to an idea of 'Christendom' that is for practical purposes anachronistic make the assimilation of new members coming from a new and different world effectively impossible." So wrote the 20th-century Dominican theologian who was so influential at Vatican II, Yves Congar (1904-1995), some 65 years ago in his still relevant classic True and False Reform in the Church. Of course, Congar's concern was hardly new. Isaac Hecker (1819-1888), who founded the Paulist Fathers 157 years ago this month, was preoccupied with how to convert America to Catholicism by presenting Catholicism to an American audience in as accessible and as un-foreign seeming a manner as possible. For Hecker, the Church's potential "new members coming from a new and different world" were Americans, predominantly "Yankee" in culture, socialized in the mores of democratic republican citizenship. Ultimately, Hecker's and Congar's concern was one that itself goes all the way back to the Acts of the Apostles and the controversies that culminated in Acts 15 in the Council of Jerusalem. In Acts, the Church's potential "new members coming from a new and different world" were Gentiles, socialized in the mores of Hellenistic paganism." It was the success of that initial effort that providentially made it possible for a small Jewish sect to grow into a multi-cultural world religion. The common thread through all these arguments and authors is precisely the evangelizing imperative to assimilate "new members coming from a new and different world." Evangelization is, after all, a Blessed Pope Paul VI famously proclaimed in Evangelii Nuntiandi (1975) the essential mission of the Church. The challenge, of course, is to discern what, at any time and place in the Church's historical journey, belongs to an anachronistic superstructure that needs to be rethought and reformed in order to assimilate those "new members coming from a new and different world." That, in turn, presupposes appreciating what constitutes that "new and different world." To reach out, for example, to today's "nones," an evangelizing Church must come to comprehend their world, such as it is, with all its proverbial joys and hopes, griefs and anxieties (cf. Gaudium et Spes, 1). Of course, the wider world may well determine for itself what "practices and expectations" it deems anachronistic remnants of an idea "Christendom" it is in the process of replacing. In some respects, some of what constitutes the so-called "culture wars" in contemporary Western societies (especially in the United States) may be about what social and legal "practices and expectations" are remnants of an older "Christendom" that no longer corresponds to contemporary cultural understanding of society and law - and about how the Church adapts itself to the loss of those once widely agreed upon "practices and expectations." It would seem that the perennial evangelizing imperative to facilitate "the assimilation of new members coming from a new and different world" should dictate the substance and style of that response. I have to confess that, for all its historic and literary significance, it is a book I had not only never read but had never known anything about before. But its influence on the Pope naturally made me interested in reading it now. Finally, to assist the reader who has successfully navigated the novel's 700+ pages, the devout Catholic author succinctly summarized the moral of the story in the book's final sentence: "that misfortunes most commonly happen to us form our own misconduct or imprudence; but sometimes from causes independent of ourselves; that the most innocent and prudent conduct cannot always preserve us from them; and that, whether they arise from our own fault or not, trust in God softens them, and renders them useful in preparing us for a better life. Although this as said by poor peasants, it appears to us so just, that we offer it here as the moral of our story." Like Jesus in today’s gospel [Mark 6:1-6a], I’m preaching to my hometown crowd today. Hopefully, I won’t get run out of town and threatened with violence, as Jesus was in Luke’s version of this event! Even in Mark’s less threatening-sounding account, which we just heard, it’s still such a sad story. Jesus the famous miracle-worker comes home, and his neighbors take offense at him - missing out on a chance to experience his mighty deeds, missing out on more than that, missing out on the whole point of Jesus entirely. We easily miss things that are staring us in the face. Consider, for example, Pope Francis’s recent encyclical, which has deservedly gotten so much attention. It's a rousing call for religious conversion in the face of the spiritual problem at the root of environmental degradation and evident climate change. But the symptoms - scientific, economic, and political - have been obvious for a long time – just not being noticed or not being paid attention to. Anyway, what happened to Jesus in today’s gospel is something that happens all the time. Someone we have known forever – a family member, a childhood friend, an old school classmate – has suddenly become somewhat successful. And how do we react? Do we join in the general acclaim? Or do we remember – and remind anyone who will listen – that we knew him or her way back when, when he was still just one of us, just an ordinary nobody? Just who does he think he is anyway, putting on airs now and expecting us to treat him like somebody? Now, maybe that doesn’t happen all the time, in every single case. Human behavior being what it is, however, and jealousy and envy being the powerful emotional engines that they are, it certainly happens often enough. So, instead of rejoicing in what someone we know has accomplished, we’re likely to be jealous and envious. And, if the opportunity presents itself, the default response may be to denigrate and belittle. So we miss the real opportunity. So this unhappy - and somewhat uninspiring – episode from Jesus’ life largely rings true, I think, as an example of human behavior in any time or place! It may also serve as a metaphor for something similar that can easily happen not just in our ordinary relationships with one another, but also in our relationship with God. It’s probably yet another human tendency to seek “spiritual” experience in whatever is different, strange, exotic – and new. Just visit your local bookstore and check out the “Spirituality” section – that is, if there are any bookstores left! (When I was stationed here there were three big ones in very short walking distance). But, anyway, if you visit a bookstore or go online or whatever, it’s amazing, actually, the sheer quantity and variety of options available for the so-called spiritual “seeker.” Even seriously committed, believing, practicing, Christians can be tempted by this apparently desire for extraordinary, exotic experiences, as for example some 1st-century Corinthians were. Witness Saint Paul’s plight in today’s 2nd reading [2 Corinthians 12:7-10]. Paul had to defend himself (and his authority) against other would-be “teachers,” who based their authority on an abundance of extraordinary revelations. In his defense, Paul challenged the claims of his rivals, claiming he had had exotic experiences at least as good and maybe better. But (and much more importantly) he explained how his own personal experience had taught him to put all such special stuff in proper perspective – teaching him to value not his own accomplishments, but the power of Christ at work in his life. For much of the first 25 years of his life, Isaac Hecker, who founded the Paulist Fathers 157 years ago this week (and who is buried over in that corner), was what we would nowadays call a spiritual “seeker.” For Hecker, however, seeking was never an end in itself. The point of seeking is finding. Hecker found fulfillment in the Catholic Church and he never desired or felt a need to look farther. Along the way, he examined as many as possible of the leading intellectual and religious currents of his time, before finally finding his permanent religious home in the Roman Catholic Church. Like so many of our contemporaries, Hecker could be described as “spiritual but not religious” for much of the first 25 years of his life. But what was so significant about Hecker’s years of searching, of being “spiritual but not religious,” was precisely that he did not remain that way. The point of the Gospel – what in fact actually makes it “good news” – is that the real seeking and searching has already been done – not by us, but for us, not by us, but by God, God who has found us in his Son, in whom he has become one of us like us in all things but sin, so that he might love in us what he loved in his Son [Sunday Preface VII]. “Is he not the carpenter, the son of Mary?” Jesus’ neighbors at Nazareth knew him and his otherwise ordinary family all too well – too well, tragically to open up their hearts and minds to what God was really doing for them right then and there. The sad result for them was that they got exactly what they were expecting – nothing! No mighty deed took place in their presence. Let’s not make the same mistake ourselves!